The very first city that I ever visited in Italy was Florence, back in 2007, and that was for only a day. I returned the following year for more. Stayed for 4 days in the city of art and I can confidently say that this is one of Italy’s most artistic cities. In this simple beginner’s guide to Florence, I will share with you information that I gathered during my visits to this beautiful city and which I am sure will be quite helpful to most first-timers. So let’s get going! And for that matter, you can always use Trainline to book your train tickets in Italy and Europe! For more tips on booking your flight, please watch my YouTube video. One of the most common questions that I get about visiting Florence is where to stay. Let me start by saying that Florence is not a huge city but it is not considered small either. The main public transport system in the city is buses (nope, they don’t have a metro system). So selecting a central accommodation is crucial. San Lorenzo: an extremely lively neighborhood that is walking distance to the San Lorenzo market, the piazza del Duomo historic centre, piazza della Signoria, and not far from the Ponte Vecchio and other places of interest. Santa Maria Novella: This is the district where the main train station is (goes by the same name or SMN for short). Plenty of budget accommodation options in this area, lots of restaurants and cafe’s and again walking distance to all points of interest in the city besides having most buses available near the station should you decide that you are tired of walking! As mentioned above, Florence does not have an underground metro system so we are left with public buses, taxis (avoid at all costs – way expensive) and walking, the latter being my favorite option. This is a very walkable city, there’s so much to see and explore that you will actually enjoy walking for hours on end without feeling drained or exhausted. 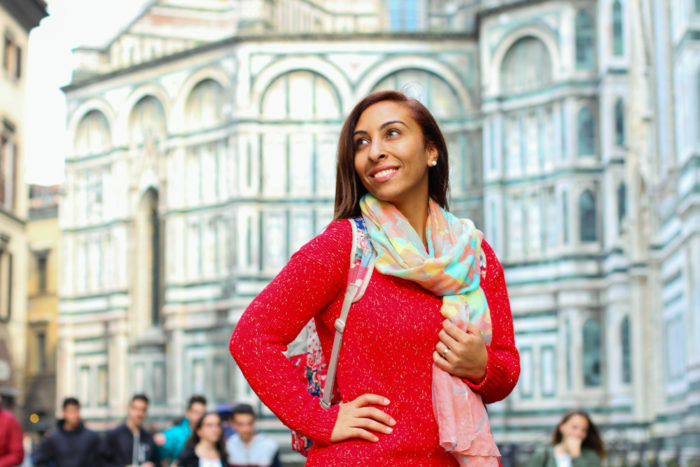 There’s just so much to see and appreciate as you explore Florence on foot. Let me just say that you will never ever be short of eating options in Florence, it’s just impossible. With a restaurant, trattoria or cafe around every corner, you are guaranteed a satisfying gastronomic experience wherever you go. Santo Spirito area has a plethora of great quality small, family run restaurants. If you are at a loss of which one to choose, I recommend using Foursquare or Zomato to help you make up your mind! In San Lorenzo, I was dazzled by Trattoria Za Za‘s exquisite selection of pastas that are just out of this world! Some may call it main stream, but I say main stream or no main stream – Za Za will captivate your taste buds in every way. Another favorite would be pizzeria O’ Vesuvio, serving quality Napolitan pizza that I totally adore. Quite affordable and the food quality is top notch. 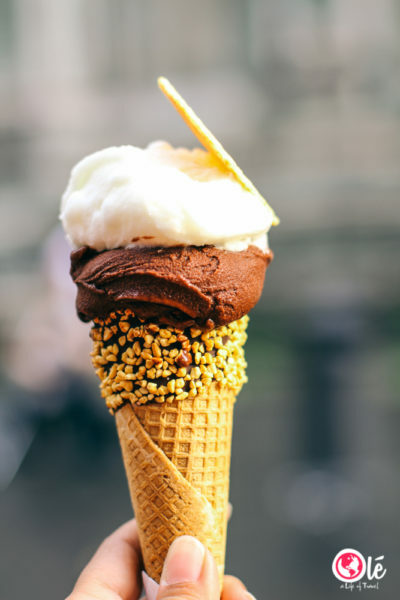 A gelato scoop should never exceed 4 or 5 euros. So if you run into a shop that sells a scoop for anything more than 5 euros then you know it’s a rip off. Run! Since this is just a beginner’s guide to Florence, I will not delve into details of how to spend your days in the city which I prefer to keep for a more dedicated post. 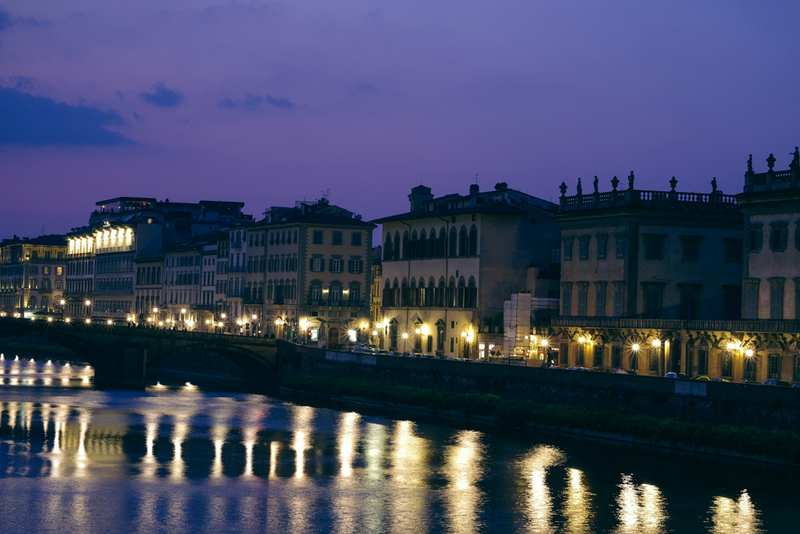 For a start, Florence is a city that needs 3 days or more to be explored. It is also located in the heart of the Tuscan region, which means that you can do lots of day trips from Florence to neighbouring cities such as Lucca, Pisa, Siena, San Gimignano, La Spezia and Cinque Terre (the last two being in Liguria not Tuscany, but a day trip is still possible). Ponte vecchio. The most renowned bridge in Florence, over the Arno river characterized by jewelry shops and huge crowds of tourists. Piazza del Duomo. The heart of Florence that cannot be missed. Basilica Santa Maria Novella. The city’s main Dominican church and a definite must see. The view from Piazzale Michelangelo. Magnificent view point from which you can see the whole of Florence. Go before sunset and enjoy the view and atmosphere. Uffizi gallery. For art buffs, this is the place for you. Home to some of the world’s most celebrated art works. Statue of David. The replica is made available to the public in the piazza. The original is not hosted the Academia gallery. 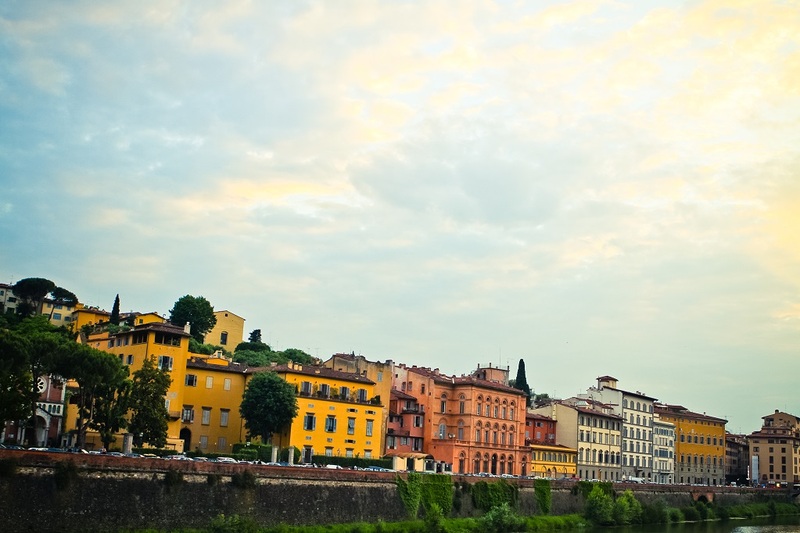 Your visit to Italy wont be complete without visiting Florence. The art and history are like no other. So make sure it is on your itinerary or you can always join us on our upcoming tours to this beautiful city! Thanks for the practical information. Spot on on picking out the important sites. Florence is an old favourite however have not been in a long time so appreciate the up to date pointers!!! Looking out for more of this great guides!